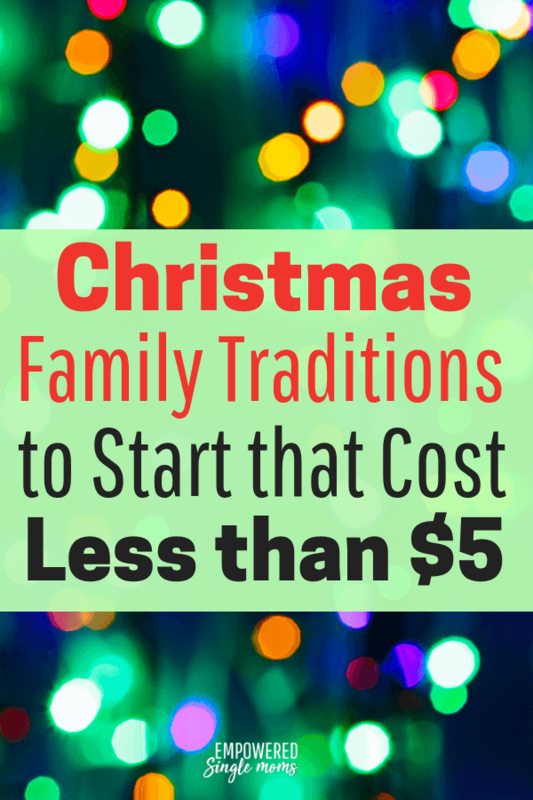 Inside: Are you looking for frugal Christmas family activities? 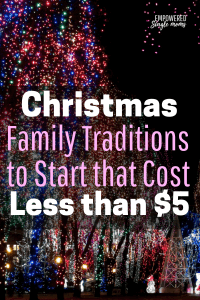 Get this list of fun cheap family Christmas traditions to start. If you are a single mom there are probably times when your budget is tight. 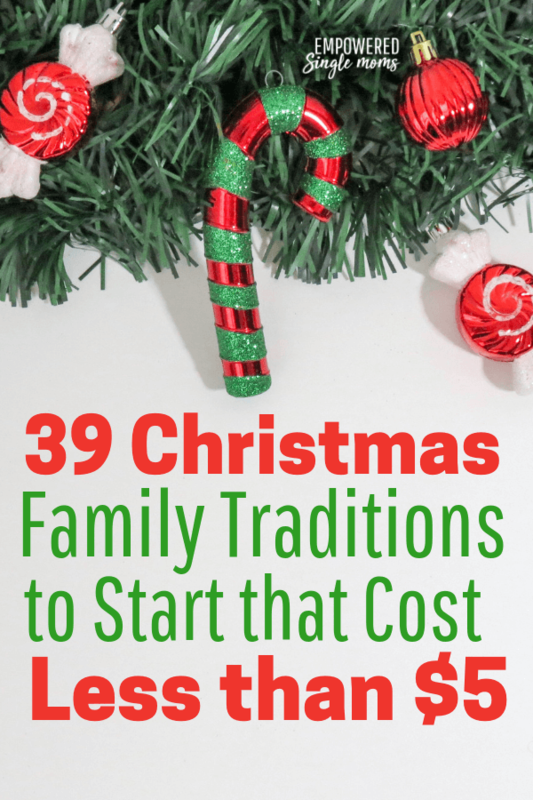 In our private Facebook group, Empowered Single Mom Tribe we started sharing ideas on how to make Christmas special without spending a lot of money. That got me thinking about all the possibilities of how to make holidays special without spending money. The key here is to focus on spending time together and making happy family memories. Free holiday concerts malls, high schools, and colleges are all great places to attend free concerts. Tuba Christmas is one of my favorite Christmas concerts. I had never heard of it until one of my sons performed in it. Baking cookies-watch for sales on flour, butter, and sugar for shortbread or snowballs. Play family games. This is still my favorite family tradition. Binge watch Christmas movies or watch 2 or 3 a week starting Thanksgiving weekend. Make ornaments with puzzle pieces. It seems like we always have puzzles missing pieces or you can buy used puzzles on the cheap at second-hand stores. Two of my most treasured ornaments are wreaths made of cast-off puzzle pieces, spray painted green with the boys’ kindergarten pictures in them. I found more puzzle piece ornament inspiration here. I have also seen snowflake puzzle ornaments. Decorate the tree. If you don’t have money for ornament there are many options to make ornaments. Many of our ornaments have a story behind them. I have several homemade ornaments that were given to me as a gift and I tell the story of the person who gave it as I put the ornaments up. Make your own ornaments with cookie cutters. Applesauce cinnamon ornaments make the house smell fantastic. You can decorate them or leave them plain as I do. They will usually last for 2-3 years. String popcorn and cranberries for an old-fashioned Christmas feel. Pizza shaped like a Christmas tree. Christmas breakfast pancakes shaped like Rudolph or Santa. More Christmas breakfast inspiration here. Set up a scavenger hunt to find the gifts or at least one of them. Wrap the first clue and put it under the tree. Assign each family member to research Christmas traditions from another country and share what you find out with each other. 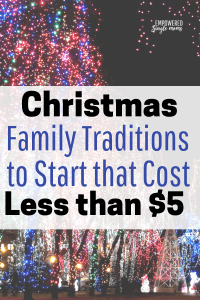 What are some of your cheap family Christmas traditions that cost less than $5? If you are a single mom we would love for you to join us here in Empowered Single Mom Tribe where we share support and encouragement with each other, because sometimes you just need to know you aren’t in this thing called life alone.